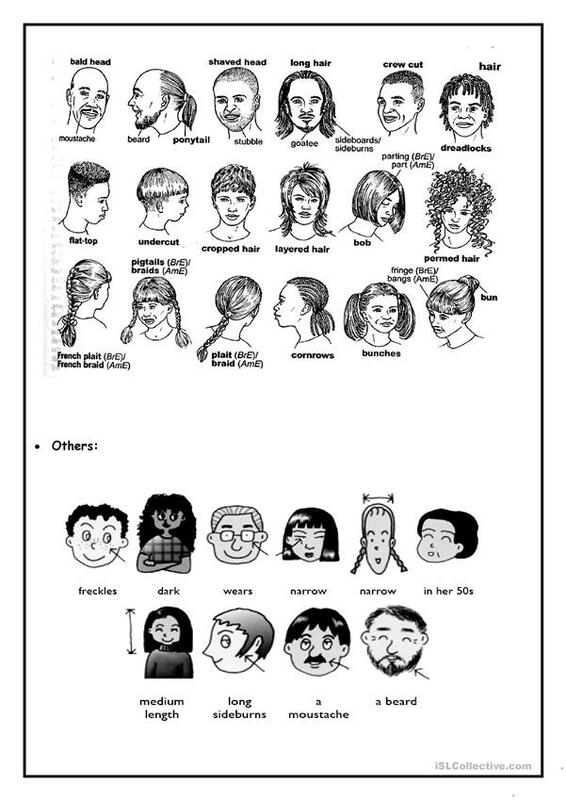 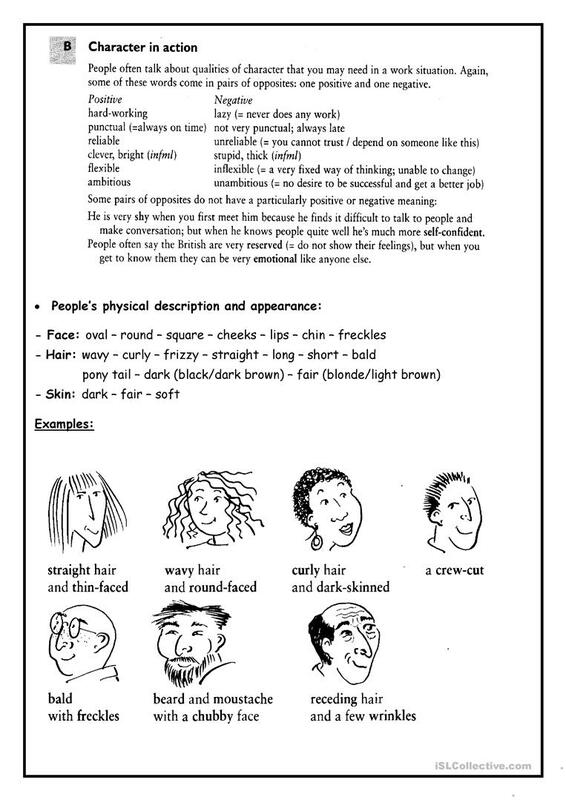 There's a detailed way to describe someone's appearance (hair, build, clothes,...) with pictures to help understand the word correctly. The present downloadable printable is recommended for elementary school students and adults at Elementary (A1), Intermediate (B1) and Upper-intermediate (B2) level. 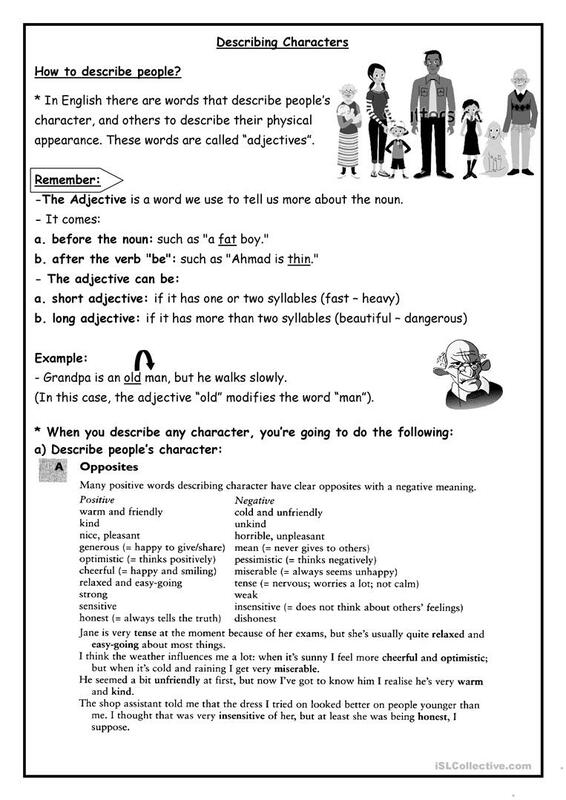 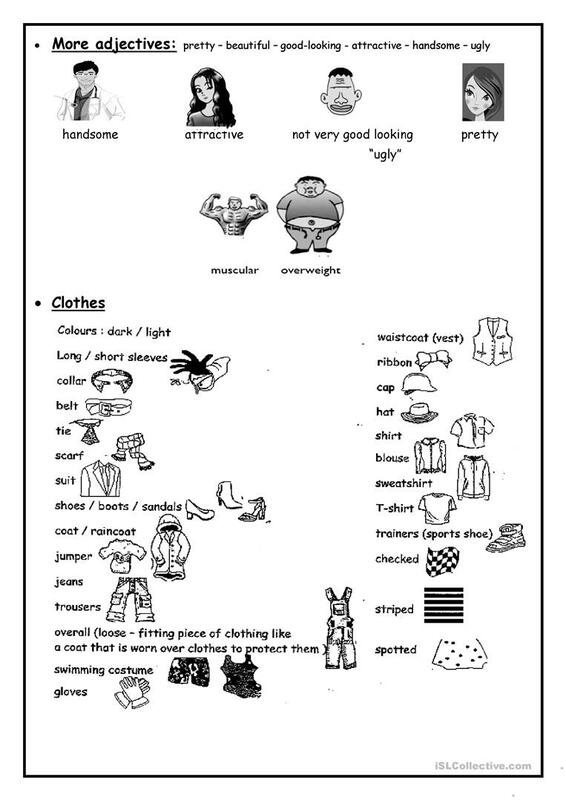 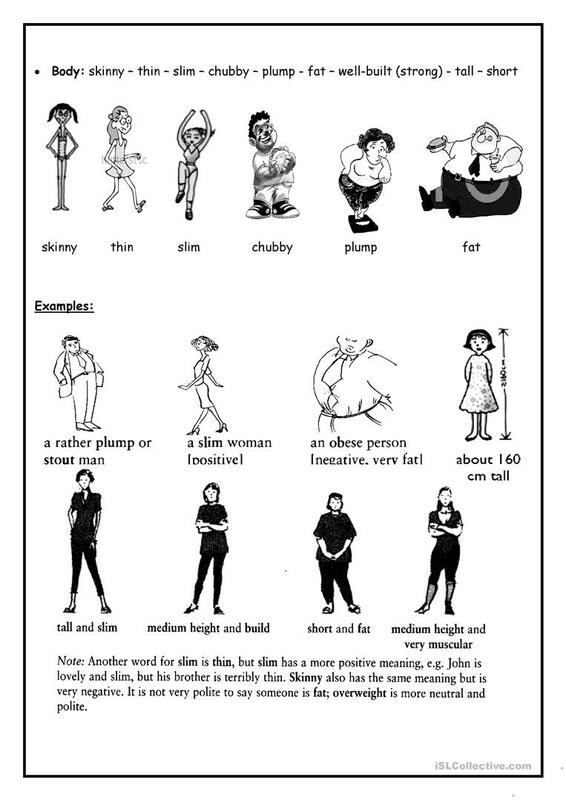 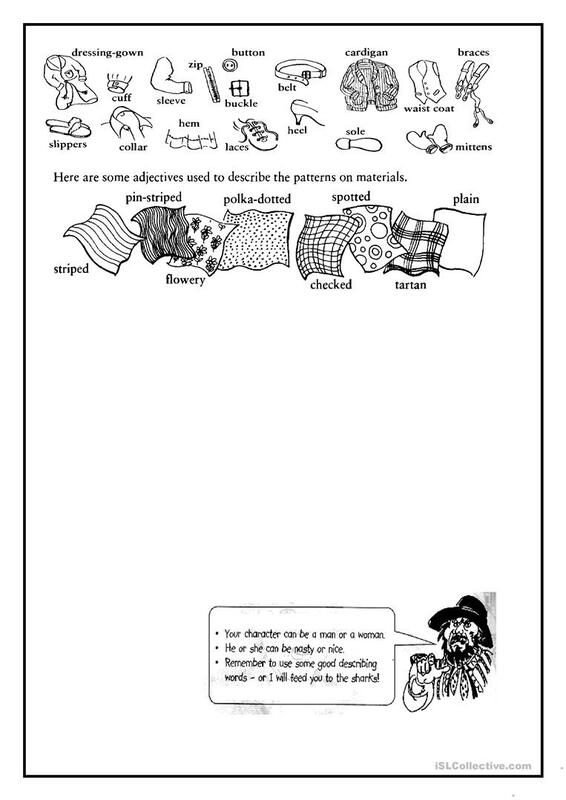 It is great for practising Adjectives in English, and can be used for enhancing your groups' Speaking skills. It focuses on the topic and words of Describing people.